2015 Warning EMP Attack on America - Life After an EMP-90% of all Americans will die within 18 months after an EMP event. 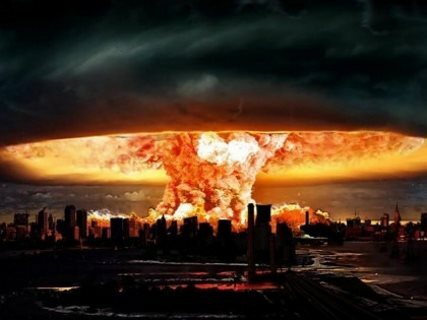 2015 Warning EMP Attack on America – Life After an EMP -90% of all Americans will die within 18 months after an EMP event. Amy S. September 29, 2015 September 29, 2015 No Comments on 2015 Warning EMP Attack on America – Life After an EMP -90% of all Americans will die within 18 months after an EMP event. 2015 Warning EMP Attack on America – Life After an EMP-90% of all Americans will die within 18 months after an EMP event. Because our infrastructure has a large gap in its electronic securities, there can be what is called an EMP attack. This is an Electro Magnetic Pulse attack. It may sound a bit like science fiction, but it is a very realistic possibility. At its simplest explanation, an EMP would cause a major override to surge protectors and to electronics nationally. This would wipe out the electronic and internet grid. Most items which are dependent upon computerized electronics would fail to work, or in a best case scenario reset them to their default manufacturing state. How would this affect us? Think about this. Your identity verification is really all based in a computer system. Granted, you may have a birth certificate and a social security, but if an EMP attack occurs, how is such information verified? There is no way for anyone to really say “Yes, This is Mr. John Doe”. And being as that the government is not known for just taking us at our word, there will be no real way to tell who is who. This is particularly disturbing as it will be a post attack. Those which performed the attack could easily infiltrate the United States as citizens so long as they have the (easily forged) printed documents. Where I am sure that emergency backup will be used in a no power situation, there will be millions which will be without power indefinitely. For the elderly, hospitals, and the poor this will be the cause of many casualties. Without power there can be no warm water distributed. Air conditioners (in hot weather) cannot regulate the temperatures for the elderly and so man will perish due to heat stroke. Hospitals will not be able to use essential equipment like defibrillators or even electronic IV systems. Yes, most vehicles can have the electronic system bypassed to run strictly off of the compression elements. However, most people do not know how to perform this task and so those vehicles which are dependent upon sophisticated electronic systems and push to start electronic ignitions will find themselves without a means of transportation. Only individuals who are living off the grid and harvesting their own produce will be able to have fresh fruits and vegetables. Because the produce in grocery stores is kept fresh by refrigeration and electronic monitoring systems, an EMP may disable such systems. At minimum, the EMP will shut off the power not allowing the refrigeration process to work. It will only be a matter of hours before some food is not fit for consumption. In the event of an EMP wall street will shut down. Monetary assets will be immediately locked by financial institutions. With no way to sustain the economy financially, it will quickly collapse. This would lead to an increase in suicides and user in another great depression. Possibly one of the greatest threats of an EMP would be that we would have no communications. Even devices which do not work off of electricity would be affected as the EMP would disrupt radio waves as well as satellite communications. Where it is true that direct contact can be made with letter and such, strategic planning as well as news reports and updates would be stopped. If all the technology is wiped out and individuals are forced to live of the land as a result, those which are preppers and survivalists will have the highest probability of survival and the least amount of hindrances to their existing lifestyle. Those which are dominated by their electronics and mobile devices will see the highest rate of fatalities. Those which have learned bushcrafts, firecrafts, and other such needed skills will be those which are most threatening to the government. It can be predicted that an EMP will force survivalist to go deep below the grid in order to survive. RELATED : Doomsday Survivalists: Paranoia or Preparation? Immediate Martial Law – Under the guise of trying to maintain and restore order an EO would be implemented almost immediately giving the president full power. We are already seeing martial law strategies being implemented in cities with have suffered natural disasters, if there is a catastrophic event executive orders for a national state of martial law is probable. Financial Collapse of the economy and a cease to foreign relations – As our money will be unavailable import and export will cease. Those counties to whom we owe trillions are apt to call in their loans. National Plague – The center of disease control in Atlanta, Georgia is very likely to have a breech in the containment as most of these are based upon computer based systems. Being as how power, refrigeration (which keeps a great deal of the diseases dormant), security, and power are all based upon sophisticated computers, an EMP would put the nation at risk for several plagues. Radiation and Nuclear Meltdowns – where I would hope that these systems have a backup source to regulate and monitor them. It is very unlikely that these plants will not be directly affected by an EMP. Dr. William Forstchen shares what life will look like after an EMP attack takes place. 90% of all Americans will die within 18 months after an EMP event. RELATED : Are the Elite Going Into Hiding Because World War III Has Finally Begun? In real life, however, EMPs are a potential threat to national security. First imagined as a troubling after effect in the wake a nuclear attack, EMPs have recently reemerged as non-nuclear e-bombs that silently attack precious electricity. A burst of energy that fries electronic circuits within a blast radius, an EMP could theoretically knock out a power grid if it were large enough. That in turn could send a major city back to the Stone Age, or knock out a strategically significant military installation in an instant.